In an effort to create better awareness on the importance of businesses adopting and embracing the digital wave for the purpose of future sustainability, 13 Semester 1 students from INTI International College Subang’s (INTI) Cambridge A-Level programme recently hosted a lively business forum at the campus. Attended by over 40 students across disciplines, the event was a great platform for students to hear from startup owners who have successfully adopted a digital-focused model in their companies. 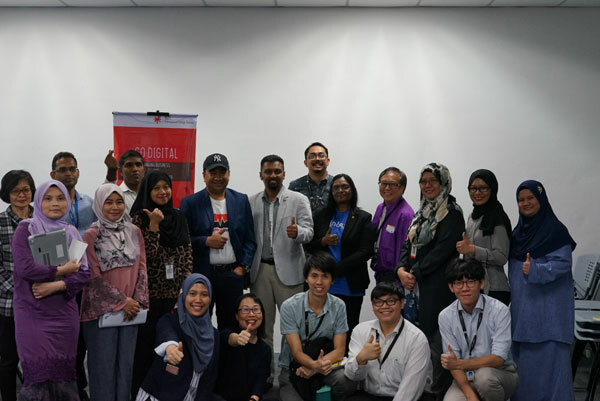 Sharing their success stories and experiences of running a business within the digital space, co-founders of Mindappz and MedKad, Daniel Gnanamani and Ahmad Azlan Ahmad Shah respectively walked the students through the process of how they started their business from the ground up. The journey, while daunting, paid off for these two brilliant entrepreneurs who eventually found their niche after exploring different areas of businesses. 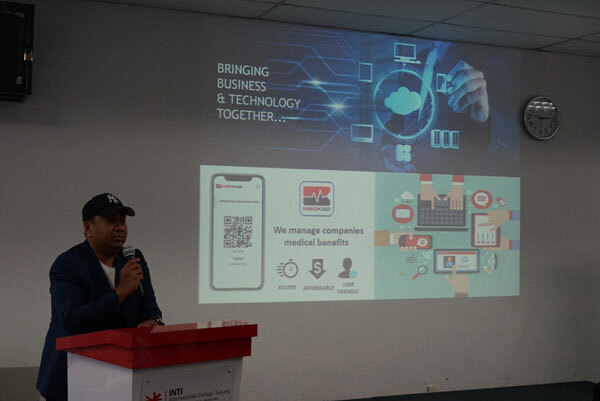 Ahmad Azlan specifically shared how, before finding his forte in entrepreneurship through the app MedKad, he had spent 20 years doing business development. From being a small time business analyst at PNB (Pemodalan Nasional Berhad), Ahmad shared how he worked his way up until his managerial role at Teraju Bumiputera Corporation. The self-proclaimed fulltime hustler eventually found his calling by developing an app which now serves companies as a mediator to managing their medical benefits. Giving the students an insider’s look into the app and how it works, Ahmad shared how his journey was not an easy one but that he seized every opportunity that came his way to make his mark in the Malaysian entrepreneurial scene. Similarly, Mindappz founder, Daniel Gnanamani took the stage and shared the inner workings of what it takes to run an e-commerce business and to be a sustainable entrepreneur. Drawing from his own experiences and how he has achieved success, Daniel shared how he developed his company and soon helped many others find their calling and strength in the e-commerce and entrepreneurial sector. 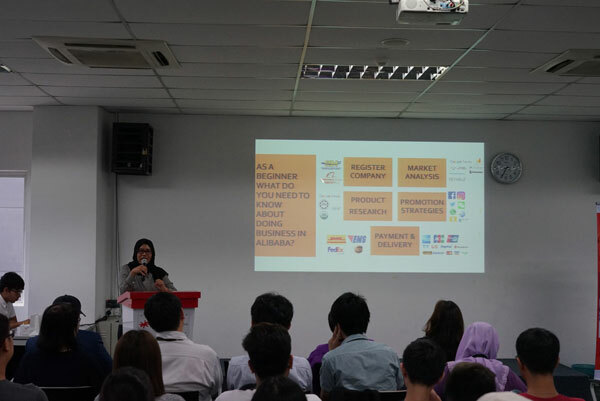 Adding to the insights on e-commerce, business lecturer, Zumalia Nurzailan, from the Centre of University of Wollongong programmes at INTI, shared insights on the Alibaba platform, its business model and how students can easily start up a business on the Alibaba platform. Taking a fascinating look at the brilliant brainchild of successful multimillionaire, Jack Mah, the students were introduced to the platform and the process of becoming a seller on the Alibaba platform. Having firsthand experience, Zumalia shared a step by step guide on using the Alibaba platform after having given the students an overview on the e-commerce market in Southeast Asia and trends to look out for in 2018. “This event was really helpful for our students, as it showed them what it really takes to be successful as an entrepreneur and to embrace failure as a necessary part of achieving and fulfilling their dreams. Even though they are just beginning their careers as A-Level business students, we believe it’s necessary for them to be exposed to industry through these meaningful conversations, as it gives them an in-depth look into how the e-commerce sector is a thriving industry in today’s working environment. It’s also an important discussion for students to understand the technological disruptions that happen even in local businesses,” shared Dr. Dennis Choo Ying Hoe, Dean for the Centre of Pre-University Studies at INTI International College Subang. Despite being only semester one students from the Cambridge A-Level programme at INTI, the students successfully pulled off the event which was organized as part of a class assignment. Beyond gaining powerful knowledge from the dynamic speakers, the students were also able to enhance their soft skills and uncover their talents through the course of planning and preparing for the event. Such events are part of INTI’s unique curriculum where students are provided industry-relevant experience and exposure form the onset of their academic journey. Ensuring they are prepared to meet the future that lies ahead, INTI gives emphasis on industry-academic collaborations to help students understand employer needs and build skills that will help them plug and play upon graduation. Through partnerships with over 450 employers, INTI students have been empowered with the right skills and tools to succeed in today’s highly competitive work environment. This is solidified in INTI’s graduate employability outcomes for 2016, as validated by BDO, which shows 99% of INTI graduates being employed within six months of graduation, with 83% earning incomes higher than the market average, while 43% of graduates received job offers even before they graduate.